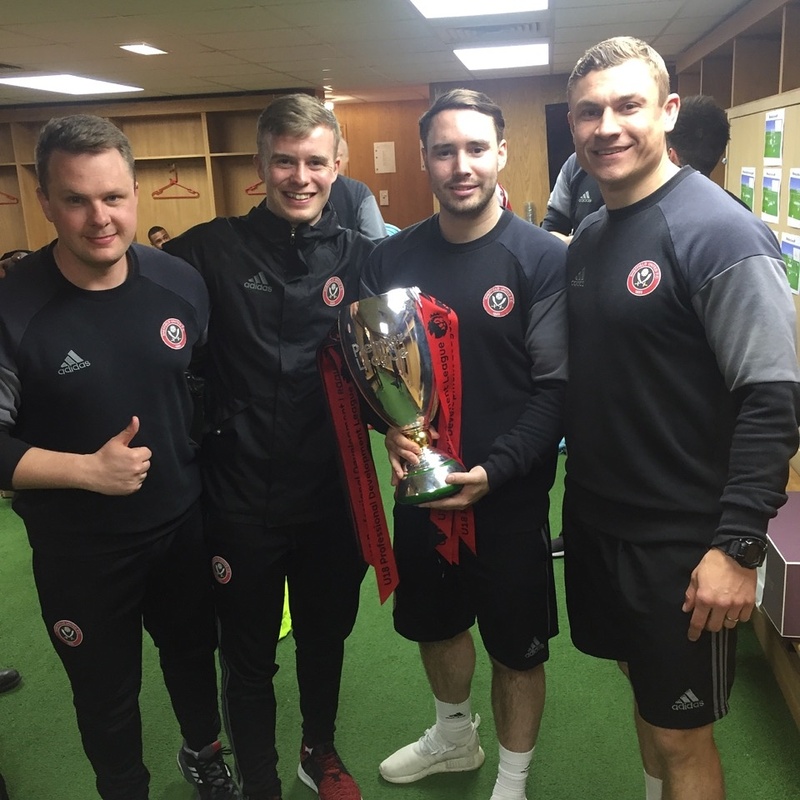 Picture second from the left after winning the league with Sheffield United during his internship in 2017 is Michael. "The experience forced me to grow up and to really zero in on where I wanted to go in life. It really affirmed with me that I had made the right choice and that this is where I wanted to be." The BSc (Hons) in Sports Coaching and Performance graduate Michael Walker is a past pupil of Arklow CBS and was an undergraduate student at WIT between 2013 and 2018. The four years in WIT were the best four years of my life. I made amazing new friendships and had amazing experiences. The lecturers inspired me and gave everything they had to help and guide me on my journey. Through this course I found my confidence increased and multiple new opportunities presented themselves due to my application of the skills I had learned. I was extremely excited as I was going to have the chance to study my passion and work with like-minded people all pursuing the same goals. Make sure it is for you. Before entering the course I would try to get as much coaching experience as possible and make sure that the life is for you. When you are in the course take in everything that the lecturers say and put yourself forward for everything. It may be scary initially but in the long run you will thank yourself. My work placement with Sheffield United was the greatest coaching and life experience I have ever undertaken. The experience forced me to grow up and to really zero in on where I wanted to go in life. It really affirmed with me that I had made the right choice and that this is where I wanted to be. I am currently pursuing a masters degree in Performance Analysis in IT Carlow. My studies in WIT were essential in preparing me for the real world. It gave me an understanding of how to behave and prepare for professional coaching situations and interviews. My work placement gave me the practical experience to pursue my current masters degree.